Enjoy nature in the center of Warsaw on cross country skiing. Forget for a while that you are in the city and join our group in Pole Mokotowskie , green heart of Warsaw. Cross country skiing is a beautiful sport which links active leisure with sight seeing. There is great point of cross country skiing – you can do it everywhere, even in the center of the city. 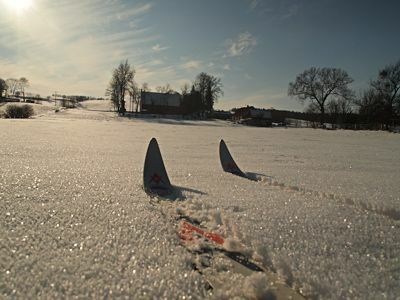 During the week, in area of green heart of town, we can enjoy cross country skiing in Warsaw. We organize small groups every time there is opportunity to enjoy snow in the city.